Artomatic was amazing, as always. Met some great artists, saw some really original pieces, and learned a lot about presenting my work and even (yikes!) networking and talking to people about photography. Now that I'm back to real life, I'm going to get back to the scanning mines. 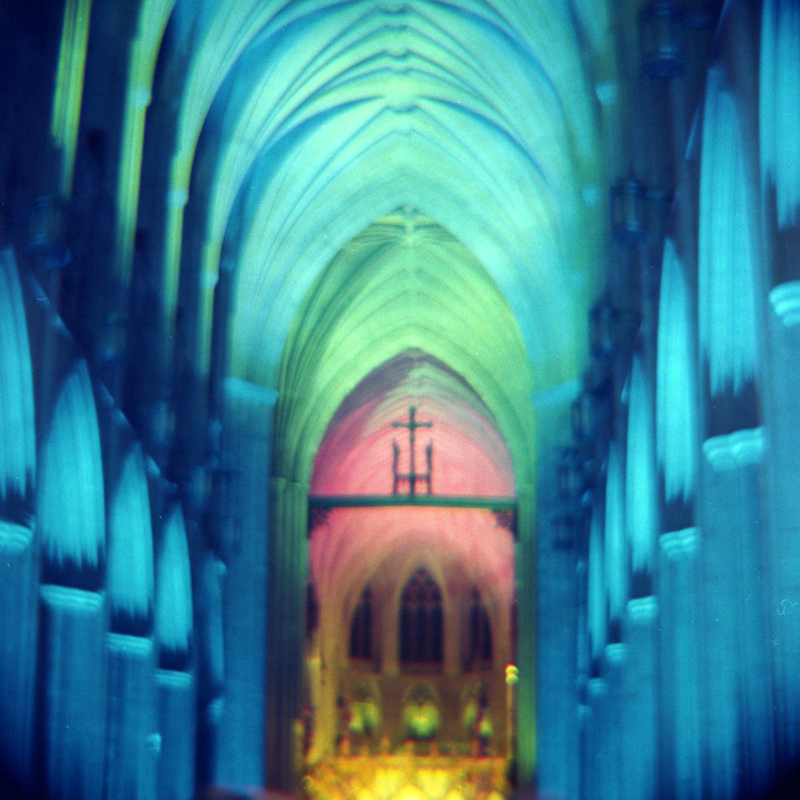 These are from the Washington National Cathedral's February program called "Seeing Deeper." For one night they removed all the chairs and lit up the Gothic interior with colored, changing lights. I read up on low-light photography before I went, but I was mostly just winging it. The only shots that came out were from my Diana+, which I used with a long exposure trigger and a light tripod. I tried metering with an iPhone app, but with the lights changing and the stark contrasts I was mostly left to guessing. Even with high-speed film and shooting on the longest exposure, nothing came out from my Pentax; I'm guessing I should have used the "bulb" exposure and held it open as long as I did for these - about 5 to 7 seconds.